BJP Councilor Janak kotak is new Mayor of Rajkot. Kotak was elected today as new Mayor after mandate of his name was given by the party. Janak kotak has been winning civic polls for the last seven consecutive terms. 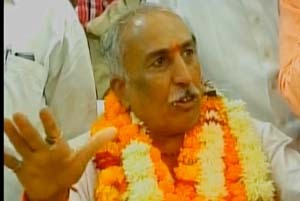 Age wise he is the oldest councilor in Rajkot Municipal Corporation. Kotak has been Deputy Mayor of Rajkot in past. While Bhikhabhai Vasoya is new Deputy Mayor, Narendra Solanki is new Standing Committee Chairman of Rajkot Municipal Corporation.